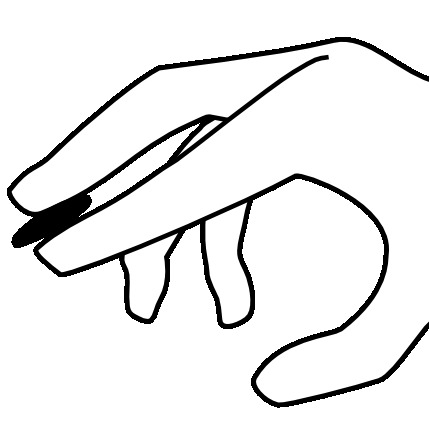 Click on the picture's thumbnail to see it full-size. An avatar I made for goproblems.com with Inkscape. Small. Took a while. 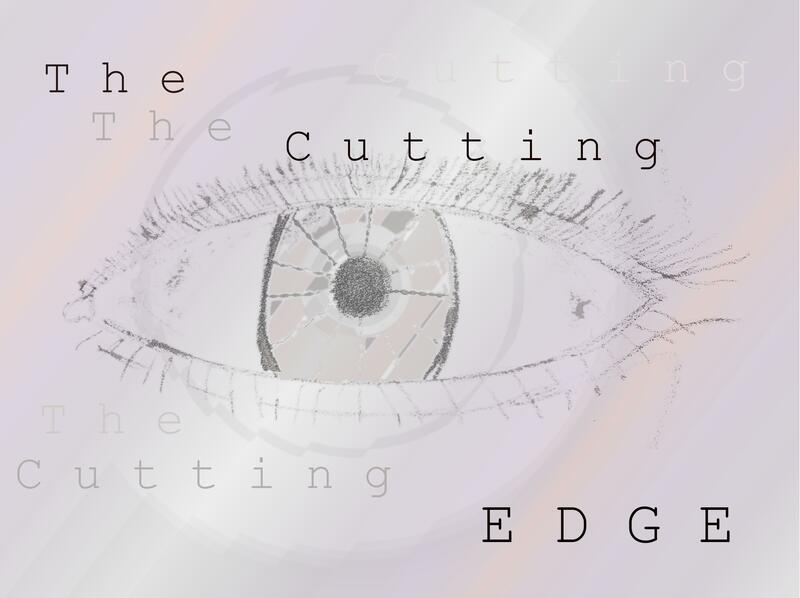 A poster I made for my school's play, The Cutting Edge (by Jason Kravits). I used the GIMP (a free photoshop-like program) for every effect you see there. I love that program. Eye design by a classmate. A picture I made for friend Robco's Realm of Sorrow forum, Clasko's Radio. 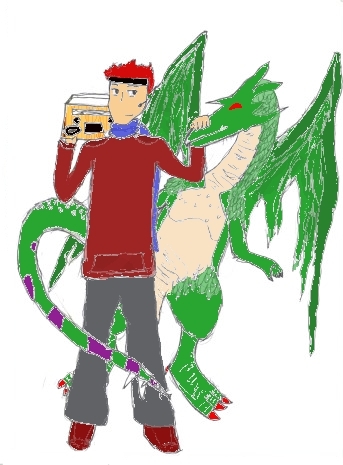 The man pictured is Clasko himself, with his famous radio and trusty dragon. Coloring on this was done (rather jaggily) on the GIMP. I tried my best to smooth out the problems that the bad scan posed.